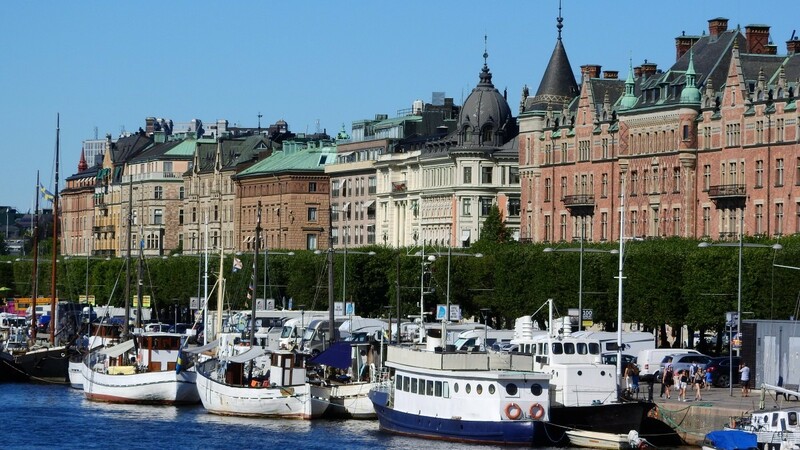 Though there are plenty of attractions and things to do within city limits, day trips from Stockholm are incredibly easy and diverse—from historic cities to picturesque small towns and scenic getaways—due to the city's 3,000-island archipelago, the second-largest in all of Sweden. 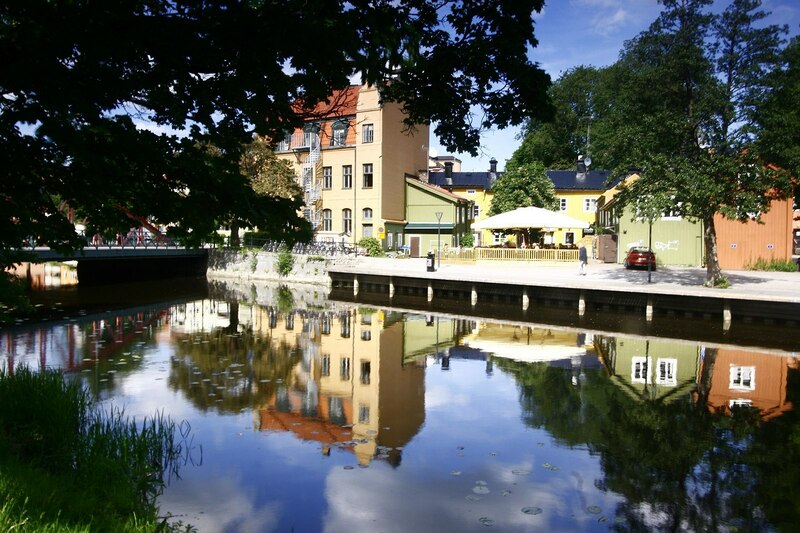 To the north, within easy reach by road and train, lies one of the country’s great university cities, Uppsala, with an abundance of historical and cultural attractions and an appealing town-and-gown atmosphere. 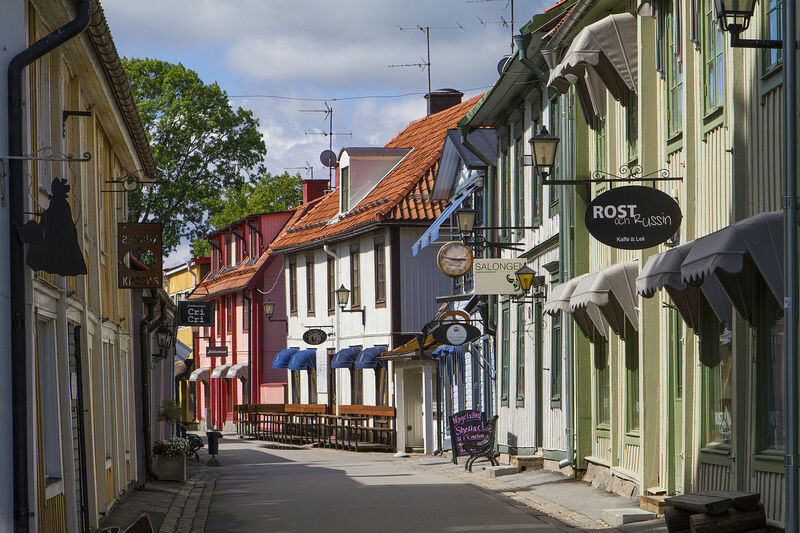 Nearby, on the north shore of Lake Mälaren, sits Sigtuna, Sweden’s oldest city, dripping with history and charm. 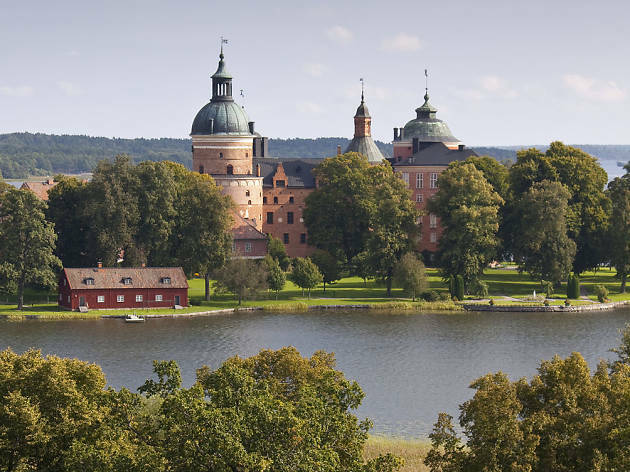 On the southern shore, Mariefred is a picturesque lakeside town worth a visit for both its beauty and its impressive 16th-century castle, Gripsholm. 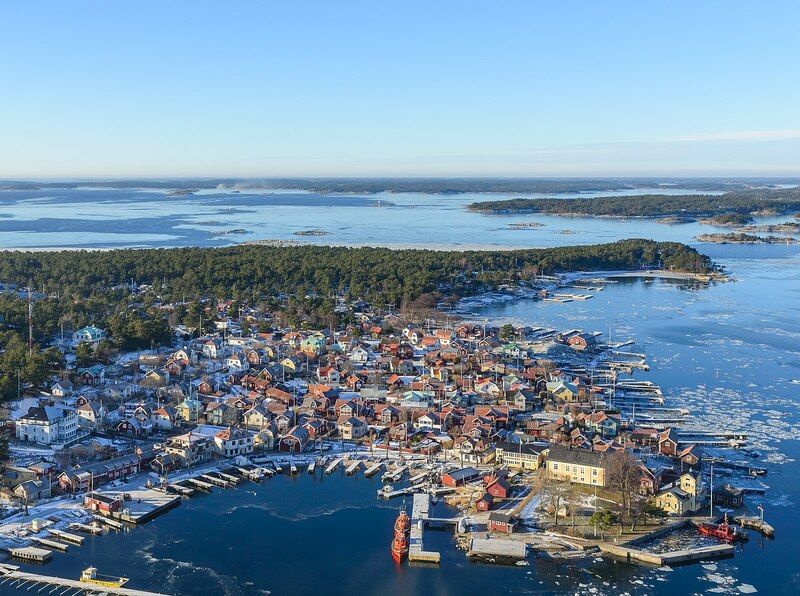 East of Stockholm, Vaxholm and Sandhamn offer two very different island experiences, the former at the heart of the archipelago and the latter on its outer edge. Read on to discover the ideal escapes from Stockhom, or check out the city’s most beautiful buildings and Instagrammable places if you’re planning to keep things local. Just 30 to 40 minutes north of Stockholm by rail, Uppsala is home to the oldest university in the Nordic countries, founded in 1477. More than 40,000 students study in Uppsala every year, adding significantly to the population of Sweden’s fourth-largest city. It’s a walkable, picturesque place, with a relaxed yet dynamic vibe and plenty of attractions for a day trip or a longer stay. Uppsala’s skyline is dominated by the city’s medieval cathedral and 16th-century castle, both situated west of Fyrisån, the river that divides the town. Many of the university’s facilities are located in the same area, including the university administration building, the botanical garden, and the main library, Carolina Revidiva. Uppsala was an important site long before the establishment of the university, with a history as a religious center going back more than 1,500 years. Several runestones brought from their original locations in the region stand outside the cathedral, with additional stones in nearby University Park. Relaxed and unpretentious, Hambergs Fisk serves up fresh, flavorful seafood in a casual, snug riverside restaurant, which doubles as a fishmonger’s shop. Quality wines and an excellent dessert cheese selection round out the experience. Reservations are recommended. Housed in Uppsala’s old train station from 1866, Stationen is a three-part venue, housing a brasserie (Paris), a café (Rome), and a bar (London). Specializing in gin, London also serves up pub food, weekend afternoon tea, champagne, and other drinks. In the evenings there’s sometimes a DJ or live music. Stationen also has a large outdoor seating area during summer. The oldest university building in Sweden, Gustavianum is now an interesting museum housing archaeological artifacts from the Viking era and ancient Egypt, as well as art, ancient coins, and collections related to the university’s history and the history of science. At the top of the building is the Anatomical Theatre, built in the 17th century and formerly used for public dissections. Closed Mondays. In the heart of historic Uppsala, Hotel Villa Anna is a small boutique hotel with 11 rooms, housed in a lovely 19th-century building close to Uppsala Cathedral, Museum Gustavianum, and other attractions. The breakfast buffet has hot and cold items, with many of the ingredients sourced from local farms. Visit Uppsala Cathedral. As long as it is high, this red-brick structure with soaring spires is the largest church in Scandinavia. Built between 1270 and 1435, it’s the seat of Sweden’s only archbishop, the head of the national church. Numerous important historical figures are buried here, including Sweden’s most famous king, Gustav Vasa, and his second son, Johan III, as well as Carl Linnaeus and other notable local figures. The cathedral also houses the shrine to Sweden’s patron saint, Erik IX. Founded around the year 980, Sigtuna is Sweden’s oldest city. Rich in history and archaeological treasures, it’s a picturesque town situated on an arm of Lake Mälaren, Sweden’s third-largest lake. Just an hour northwest of Stockholm by commuter rail and bus, it’s also reachable by Strömma excursion boat during the peak summer season. Sigtuna’s attraction are numerous, from runestones and medieval church ruins to a quaint pedestrian downtown and a lovely lakeside promenade. If you’re interested in Swedish history, it’s a place not to be missed, but even if your tastes run to more modern interests, it’s a charming destination for an escape from the bustle of big-city Stockholm. One of Sigtuna’s most famous establishments, the beloved café Tant Bruns Kaffestuga occupies an old wooden house from the 17th century, believed to be the oldest surviving such building in the town. The café itself has a long tradition of serving up freshly baked breads, pastries, and sandwiches, with outdoor seating in the garden. Open every evening except Mondays, BåthusetKrog och Bar is a floating restaurant and bar located at Sigtuna harbor. The drinks menu includes an extensive wine list and a good selection of beers, as well as cider and nonalcoholic options. The views of the water are gorgeous from inside, but in the summer you can get even closer to the lake with outdoor seating on the deck. At the main square, off Stora Gatan, check out Sigtuna’s adorably tiny town hall, from 1744. The inside is open to visitors only from June through August, but it’s worth a look from the outside at any time of year. According to local tradition, the key to the town hall used to hang on a hook behind one of the window shutters, and locals who had been out a bit too late – or perhaps wanted to sober up a bit – would often let themselves in and spend the night rather than heading home immediately. Dating from – you guessed it – 1909, 1909 Sigtuna Stads Hotell has one of the best locations in town, in the heart of the historic center and just a few steps from Lake Mälaren. 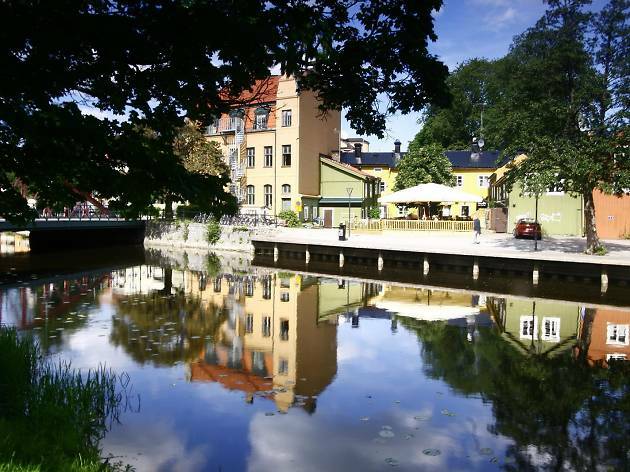 Decorated in classical Scandinavian style, it’s Sweden’s smallest five-star hotel, with just 26 rooms. Don’t miss Sigtuna’s medieval churches. Within the downtown area are three evocative ruined gray-stone churches built in the early 1100s. The most impressive of the three, St. Olof and St. Per (Peter), are quite well preserved, while the remains of St. Lars (Lawrence) are limited to a single tower. Next to St. Olof is a very different type of medieval church, St. Mary’s, erected a century or so later and the first church in the region to be built in brick. Combining elements of Romanesque and Gothic architecture, it’s still in use after more than 750 years. A small town on the south shore of Lake Mälaren, Mariefred is easily reachable from Stockholm by train to Läggesta, followed by a short bus ride. During the summer, an enjoyable scenic alternative is to travel between Stockholm and Mariefred by sea aboard the historic steamship S/S Mariefred, which has been plying this route since 1903. 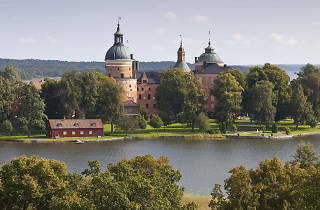 Mariefred is best known for Gripsholm Castle, one of Sweden’s most imposing Renaissance castles, erected by King Gustav Vasa in 1537 on the site of an earlier 14th-century castle. The town itself is charming, with many well-preserved 18th- and 19th-century buildings, as well as a variety of shops and cafés. It’s a relaxing place to spend a day, particularly during the summer, when the town bustles with life and restaurants spill out onto the sidewalks and pier. Midway between Gripsholm Castle and downtown Mariefred lies Slottspaviljongen (the Castle Pavilion). With large windows and both indoor and outdoor seating, it’s a pleasant venue set in a park close to the waterfront and the historic railway station. Order at the counter, then grab a table and wait for your food to arrive. Check the website for current opening hours, as they may be reduced during slower periods of the year. If you’re looking for bars, Mariefred is not the place for you. In this small town, you’ll either have to order alcoholic drinks at a restaurant or pick something up at Systembolaget, the state liquor store, on Storgatan. But why not opt for a hot or iced coffee instead? You’re sure to find something tasty at Två Goda Ting (Two Delicious Things), a café/shop that specializes in coffee and chocolate but also sells tea, licorice, and other items. Take a historic steam train ride through the countryside: Mariefred’s distinctive yellow railway station is the starting point for rides on a steam train with engines and cars dating from the late 19th and early 20th centuries. From May to September, the train travels the route between Mariefred, Läggesta station, and Taxinge-Näsby. The Mariefred station has an exhibit on railway history. Billed as Sweden’s oldest inn, Gripsholms Värdshus dates from 1609 and occupies the site of a former Carthusian monastery, Pax Mariae, that gave Mariefred its name (Mary’s Peace). 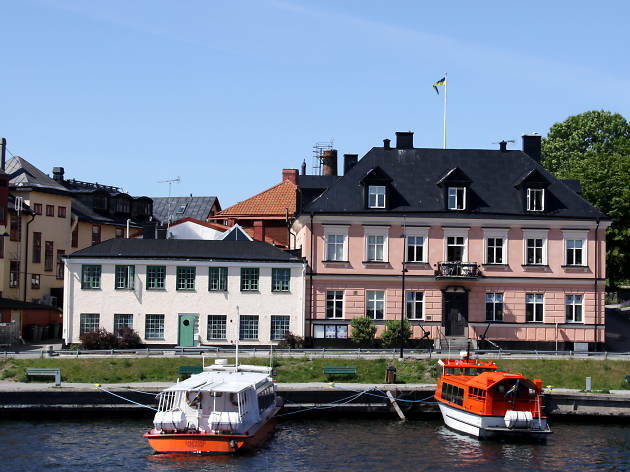 Ideally located along the waterfront opposite Gripsholm Castle, the inn has a variety of clasically decorated room types, as well as a restaurant, bar, and spa. Visit Gripsholm Castle. Founded by King Gustav Vasa in 1537, Gripsholm is situated on a small peninsula opposite downtown Mariefred, a short walk from the town center. As you approach the main gate, don’t miss the runestones along the path, brought to Gripsholm from their original locations nearby. Highlights inside the castle include the Swedish national portrait collection, along with Duke Karl’s chamber from the 16th century and Gustav III’s theatre from the 1700s. Vaxholm began as a defensive outpost of Stockholm during the 16th century, but received its town charter in 1647. During the 19th century it developed into a popular weekend and summer getaway for Stockholmers, which it remains to this day. 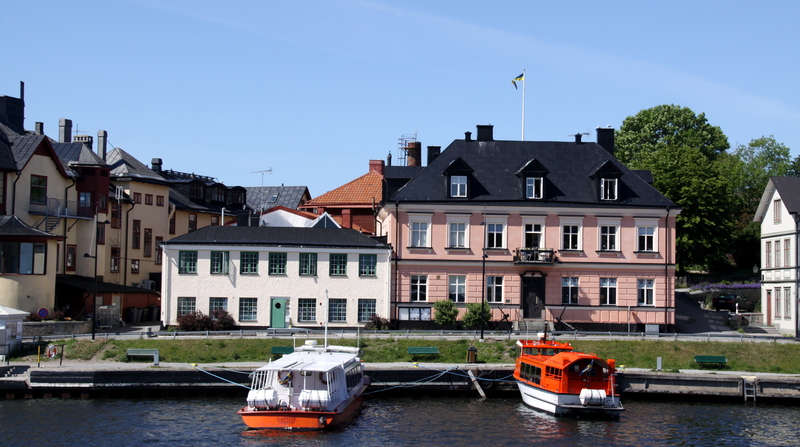 Known as the capital of the archipelago, Vaxholm is easily accessible from the city by both passenger ferry and road. 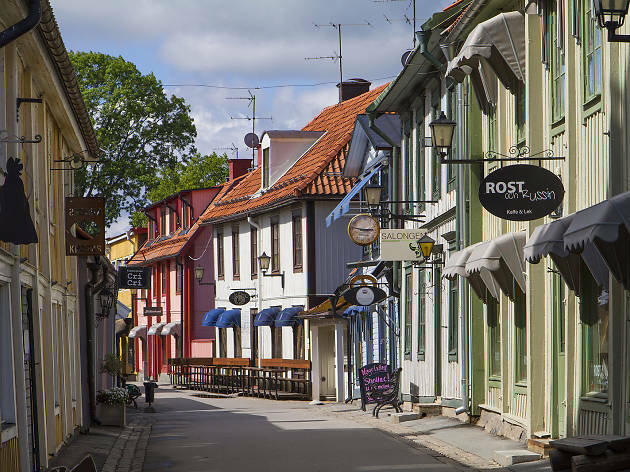 Although Vaxholm has few specific visitor sights, it’s an enchanting place to walk around, with small streets lined with pastel-colored houses with decorative touches and quaint fences. Most date from the turn of the 20th century. The town center has shops selling home décor, baked goods, sweets, clothing, groceries and other items. Open year round, Hamnkrogen is located along the waterfront opposite the guest harbor. In addition to daily lunch specials, the restaurant serves a regular menu that includes fish, meat, burgers, and vegan options. In summer, Hamnkrogen also has an outdoor restaurant, Kobben, and a popular champagne bar right on the pier with light food items such as smoked shrimp and local cheeses. During the off-season, your best bet for a drink is one of the few year-round restaurants, such as the dining room at Waxholms Hotell on the pier. During the summer, the hotel opens up Lilla Strand, a bistro-bar with both indoor and outdoor seating. It’s a good spot to enjoy a drink while watching the passenger ferries and sailboats arrive and depart. Vaxholm’s main tourist attraction is the imposing fortress just offshore. Known as Kastellet, it’s a mid-19th century structure that replaced an earlier fortress built during the mid-16th century to protect Stockholm from invasion. It’s well worth a visit and easily reachable by a short cable ferry from Vaxholm. Climb the 134 steps for outstanding views, explore the cellar vaults once used to house criminals and political prisoners, and visit the Fortress Museum tracing 500 years of military defense of the archipelago. For an unusual overnight, book a room in the former artillery barracks at the fortress, now converted into guestrooms of the Kastellet Bed & Breakfast, many with sea views. Bathroom facilities are shared, and breakast is included. If you book your room through the inn’s website, the cable ferry (four times per hour, May through September) is included. Regular ferries (not included) run year-round, and taxi boats are also available. Arrive by boat. A cruise from Stockholm to Vaxholm is the best way to get a sense of the archipelago and Vaxholm’s place within it. Strömma’s Cinderella boats operate from Strandvägen in Stockholm from mid-April to early November and take 50 minutes. Waxholmsbolaget’s passenger ferries run year-round from Strömkajen near Grand Hotel and take just under an hour and a half. Sandhamn, on the outermost edge of the Stockholm Archipelago, began as an outpost for customs agents and ship’s pilots in the late 17th century. It gradually evolved into a permanent settlement and has been a gathering spot for the sailing and yachting community for nearly a century. About 120 people currently live on the island year-round, but in the summer the population swells with seasonal residents and short-term visitors, and a lively party atmosphere takes over. Visit during the high season if your aim is to experience the island at its most hopping. If you prefer peace and quiet, opt for the shoulder seasons, when the summer crowds have departed and the pace slows down substantially. Sandhamn is an hour by passenger ferry from Stavsnäs, reachable by direct bus from downtown Stockholm (one hour). From April to early November, boats run directly from the city center (two hours). There’s also a summer excursion boat that travels a slower route through the scenic Strömma Canal (three hours). The oldest restaurant on the island, Sandhamns Värdshus has a long history–well over 300 years–of serving local residents and visitors. Located by the main harbor, the inn has a restaurant with large windows on the upper level, a more casual pub on the lower level, and outdoor dining during the summer. Daily specials and a la carte classics are served year round, though hours vary, so check the website if visiting during the slow season. You won’t find much in the way of watering holes in Sandhamn during the off season, but if you’re visiting between May and September, pop into laid-back Dykarbaren for drinks and/or a meal with a view of the harbor. There’s seating by the bar and upstairs, as well as an outdoor area when the weather permits. Opening hours vary, so check the website. Sandhamn is known for its white sand beaches, the largest of which is at Trouville, a 20-minute walk from the harbor. In warm weather, it’s a great spot for a swim. The water stays shallow quite far out, making it a good place for a families with children. There’s are also smaller beaches at Fläskberget, on the western edge of the village, and Skärkarlshamn, five minutes’ walk from the harbor, past the yacht club. The interior of the island is covered in pine forest, with moss and heather covering the forest floor. Several paths wind their way through the forest across the island, which is less than two miles in length and just under a mile wide. Although Sandhamn has a couple of conference hotels that are open for individual bookings during summer months, for year-round accommodations your best bet is Missionshuset, a bed-and-breakfast run by Sandhamns Värdshus. It has five upper-story rooms with shared bath and a freestanding cottage with en suite facilities. In fall and winter, additional rooms are available in a separate house in the village, along with a private apartment for up to four guests. Explore the village away from the harbor. Sandhamn is completely car free, making it a delight to wander its narrow lanes with typical archipelago houses made of wood, many of them painted the traditional dark red with white trim. From the high point west of the harbor there are good views of the community and the sea. 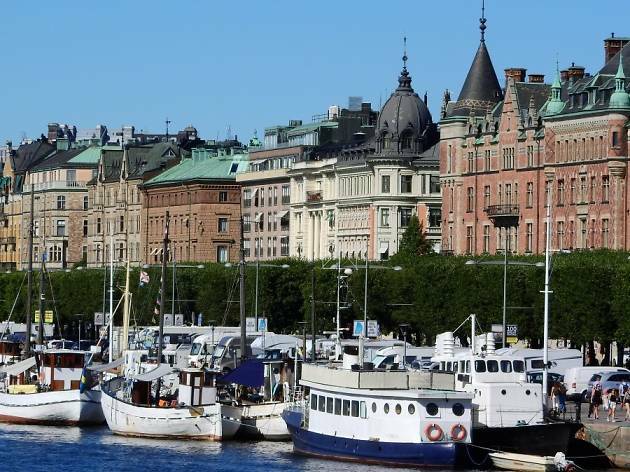 A breathtaking coastal capital spread across 14 islands, Stockholm instantly impresses with its charming medieval streets, immaculate blooming parks and vibrant waterfront promenades packed with things to do.